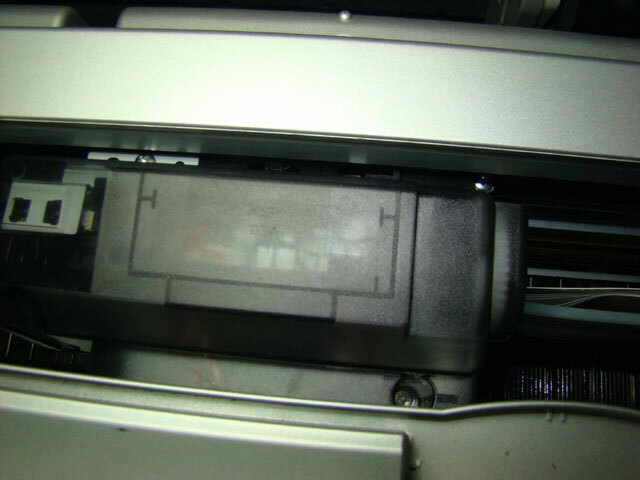 Q: My Epson 3800 / 3880 has clogged print heads, what should I do? 1. Obtain InkRepublic cleaning liquid (i-Remove) and some paper towel. 2. 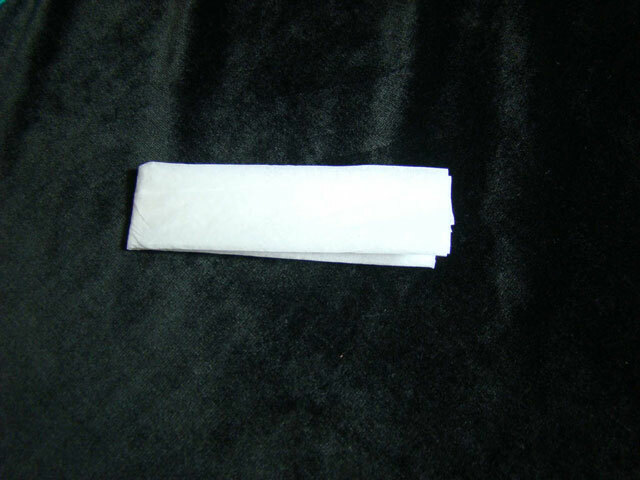 Fold the paper towel as shown below. 3. 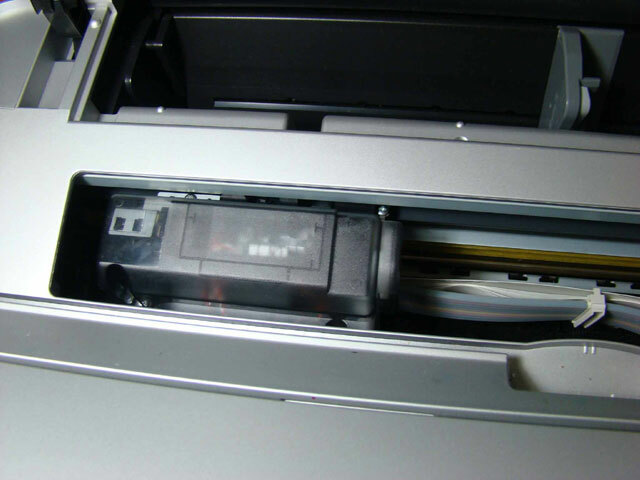 Move the cartridge housing and move the plug from the socket, so the cartridge housing can be released. 4. 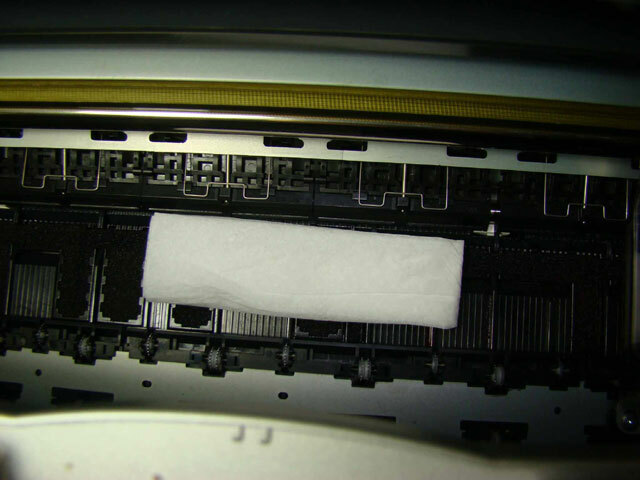 Place the paper towel in the printer and drop some cleaning liquid to it. 5. 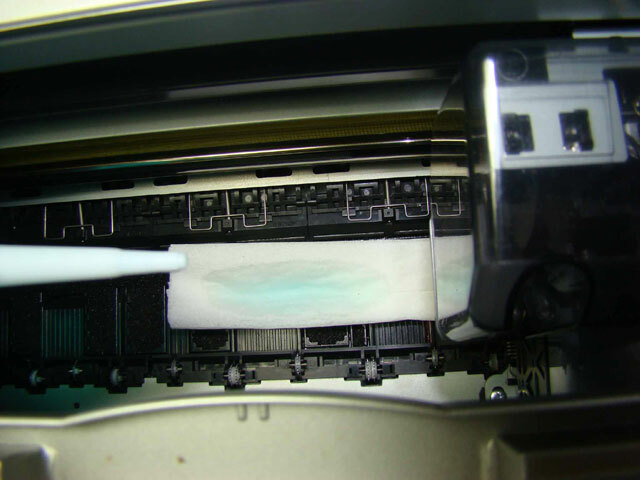 Move the cartridge housing to cross over the paper towel several times, so the print head will get the cleaning liquid. 6. 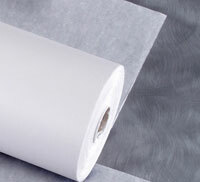 Let the cartridge housing stay on top of the paper towel few hours or over night. 7. 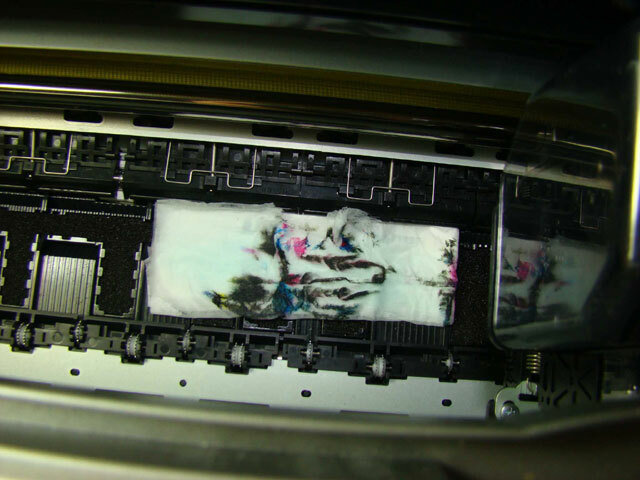 Move the cartridge housing and you should be able to see the paper towel got the inks. You may find similar and expanded information from Arthur Entlich, who is an individual printer expert and has been writing several Cleaning Manuals for a variety of printers, such as Epson's, which he provides without fee. To request one of his manuals, please contact Arthur Entlich at e-printerhelp@mvp.org. Please indicate the printer model(s) you are wishing information about.